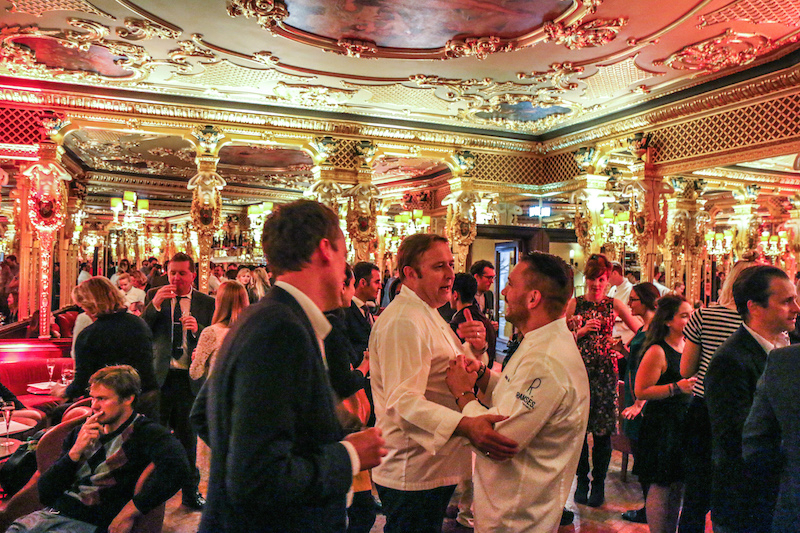 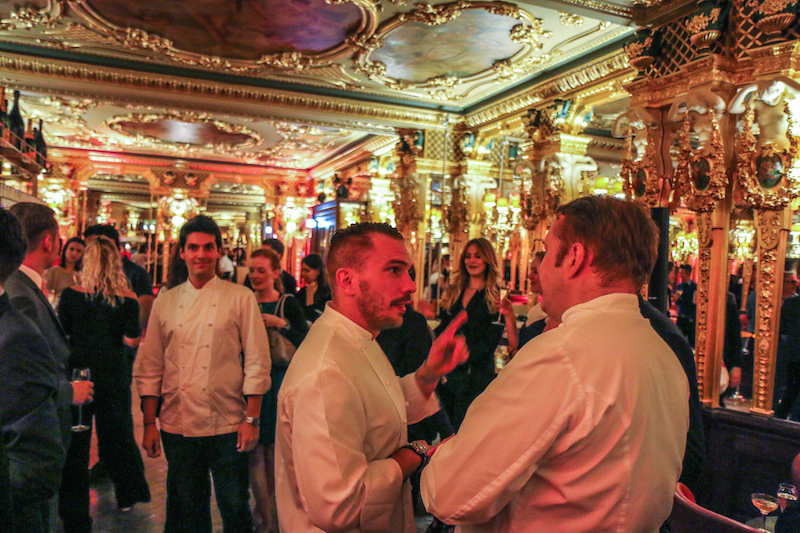 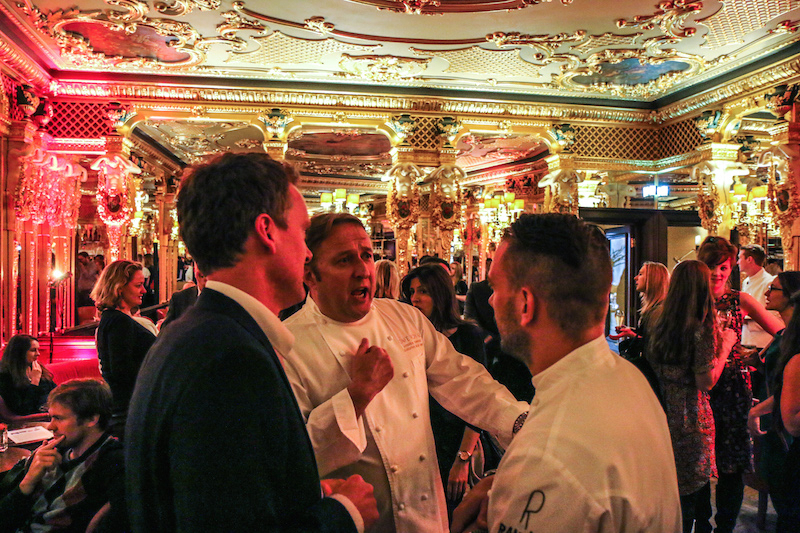 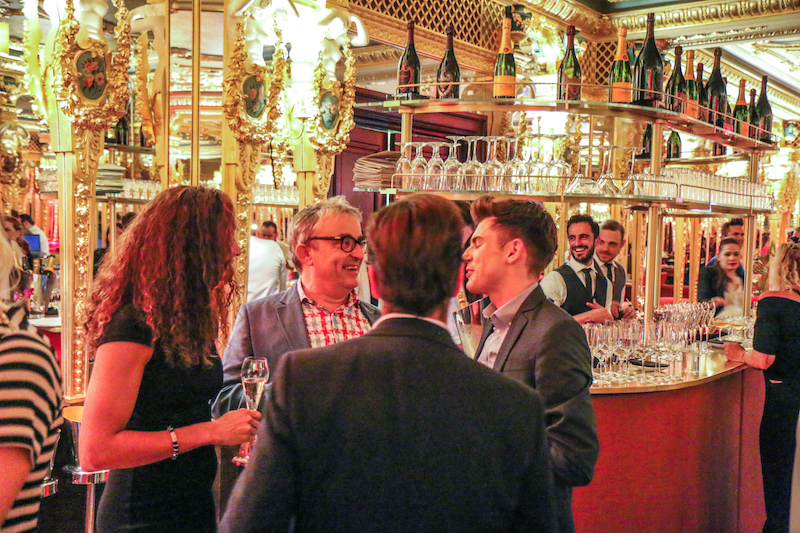 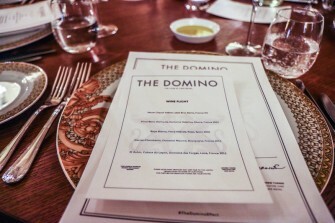 On 11th June The Club at Café Royal launched the next in the series of The Domino Effect bringing to London for the first time chef Aurelio Morales of Ramses restaurant in Madrid. 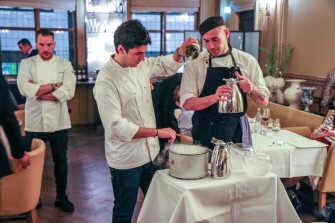 Aurelio, an alumni of Ferran Adrià’s El Bulli, belongs to a new generation of talent in molecular gastronomy, so guests can expect a few spectacular surprises. 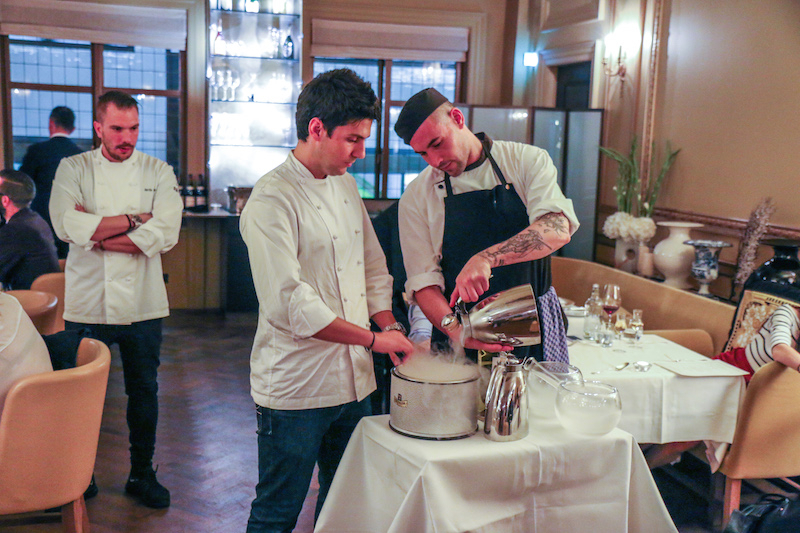 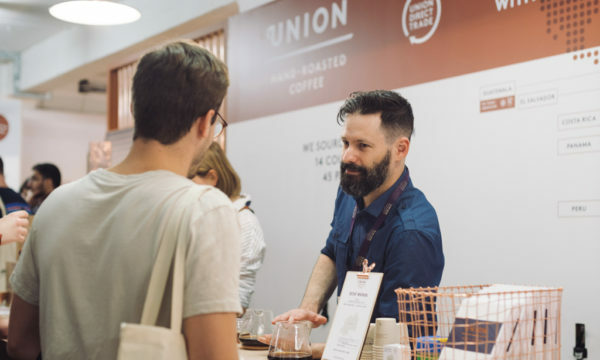 The series of international guest chef collaborations has previously seen two-Michelin starred Spanish chef Paco Roncero work alongside executive chef Andrew Turner to create an exclusive dining experience. 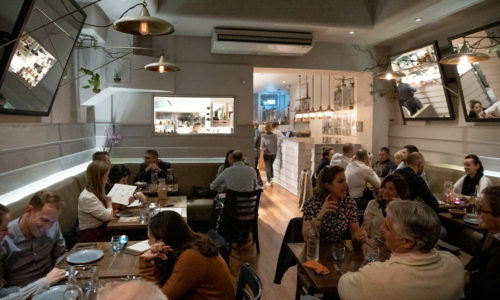 After the overwhelming response to Paco’s residency, The Domino Effect is back to offer diners the first-ever chance to sample Aurelio Morales’ cooking. 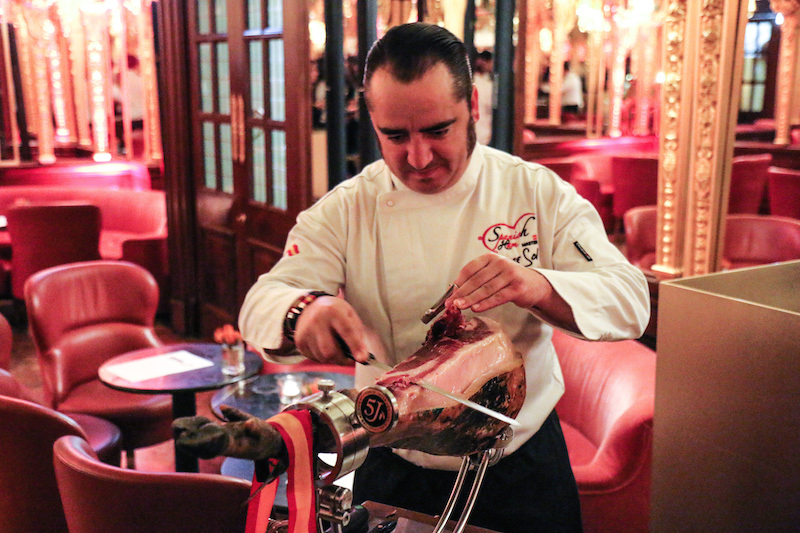 Running until 11th July, Aurelio and Andrew have created an avant-garde seven-course experience that begins with a delicious selection of snacks including mouth-watering Iberico Ham from Spanish master José Sol. 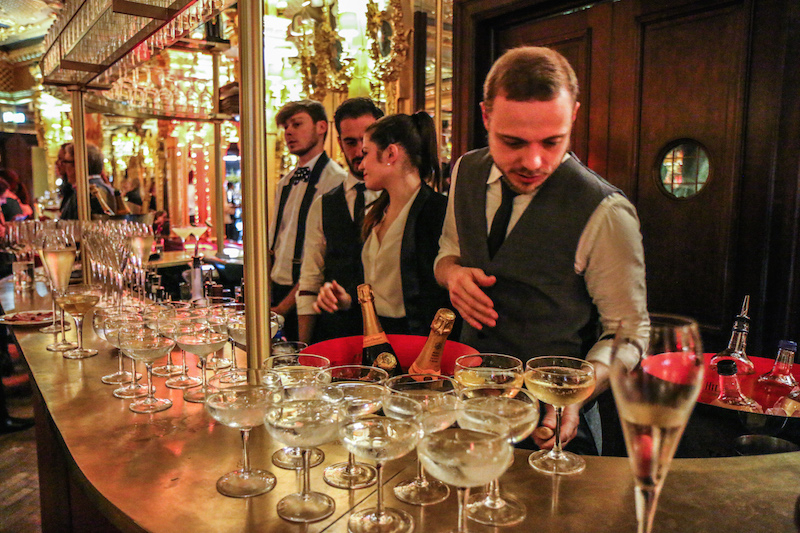 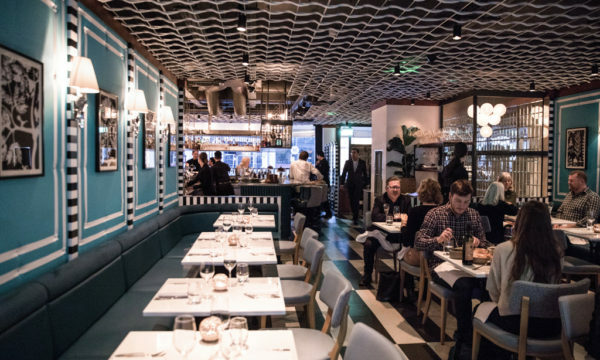 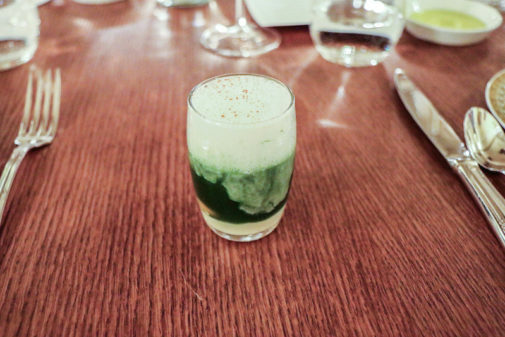 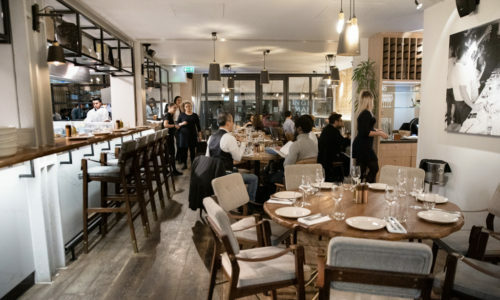 The menu begins with Gazpacho, Confit Salmon and Lettuce – with the gazpacho served inside a lab-worth glass tube – and Watercress Chlorophyll, Quail’s Egg, Manchego Cheese and Crispy Lamb Bacon. 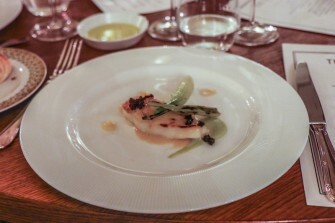 Each course comes with interesting sides and creative combinations of flavours: Canelón de Carabinero con Salsa America; Turbot Citrus, Fennel and Tarragon; Pork and Apple. 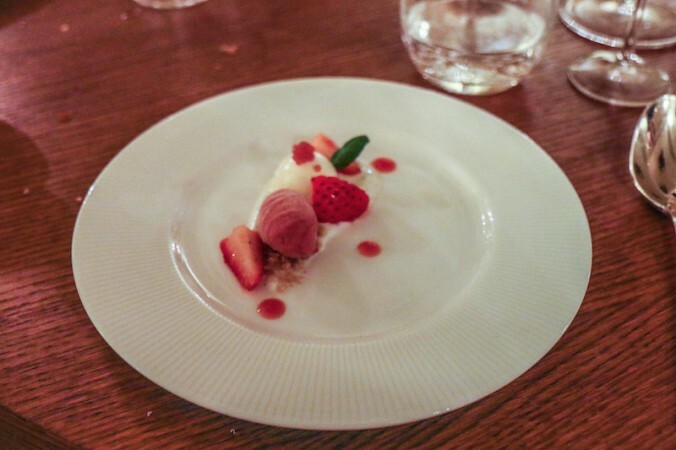 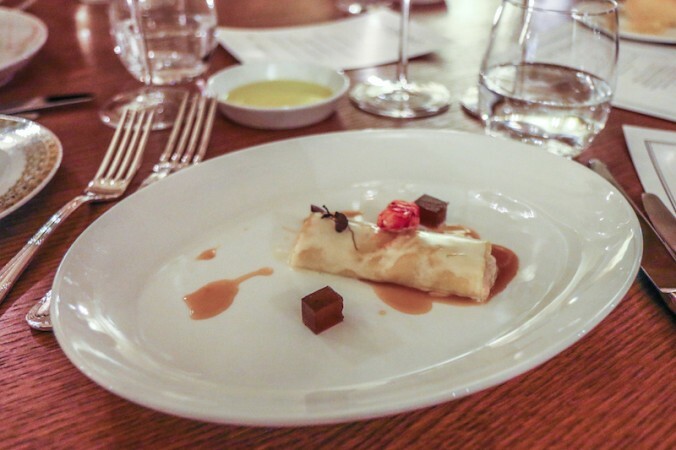 The desserts won’t disappoint with the sweet Baylands Fruit Surprise and Emphasis on Chocolate with Arbequina Olive Oil: chocolate and oil which is not a provocation but an actual pairing that works. 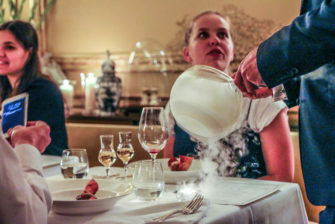 The oil is frozen in liquid nitrogen and served as dust over the dish. Guests can also opt for a paired wine flight as well as a specially created Champagne cocktail, made by The Club’s mixologist Tiziano Tasso, in collaboration with Veuve Clicquot Rich. 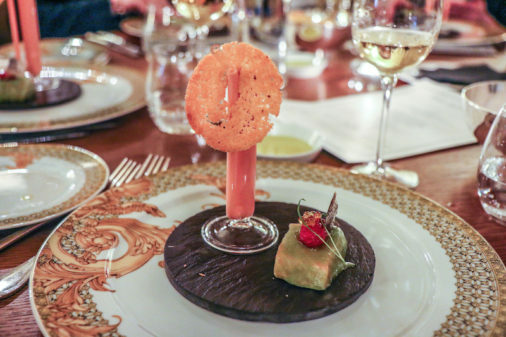 The Richer Cocktail (Veuve Clicquot Rich, Belvedere Pure and oolong Orange Blossom cordial), will accompany the snacks. 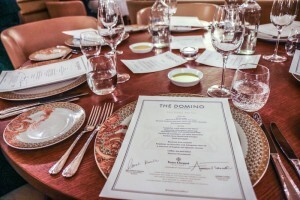 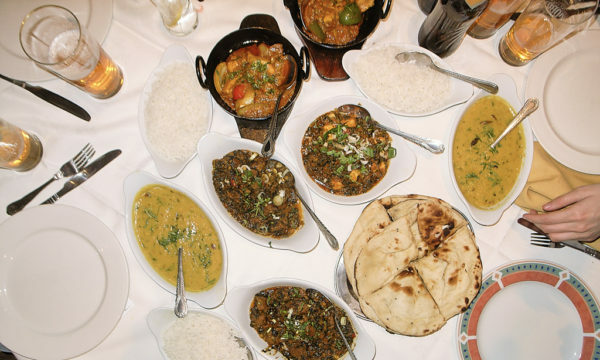 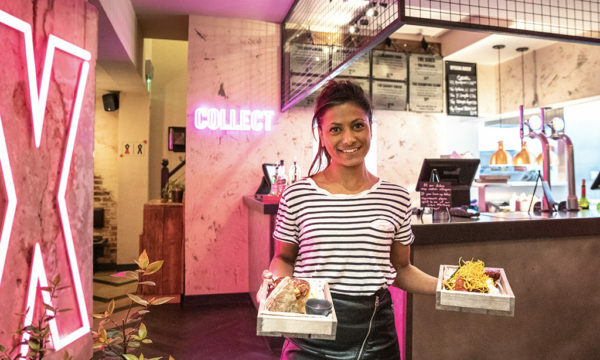 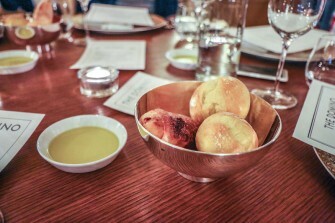 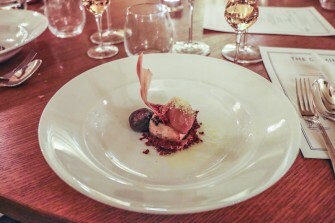 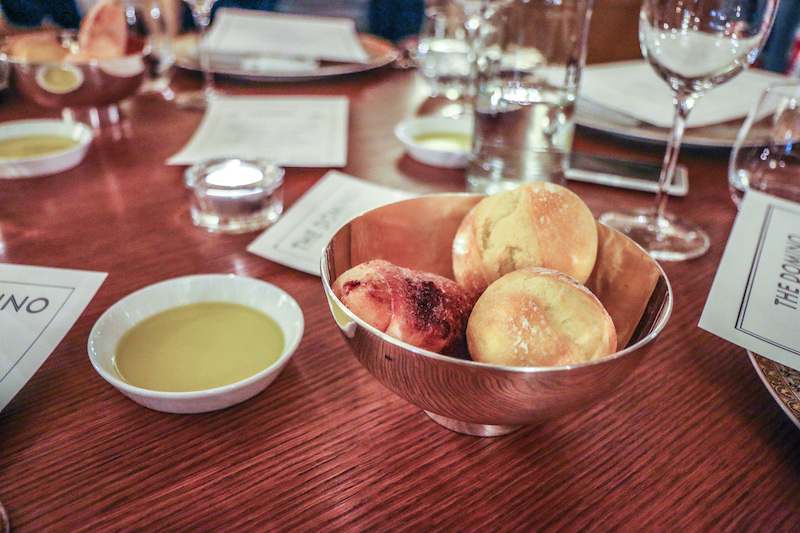 The menu is priced from £85, with paired wines and cocktails at an additional cost of £50. Aurelio Morales is head chef of celebrated restaurant Ramses in Madrid, where his avant-garde and minimalist-style of cooking is spread across five different spaces: Room Delicatessen, La Terraza, Petit, Champagne Bar and Suria – all of which have been designed by world-renowned designer Philippe Starck. 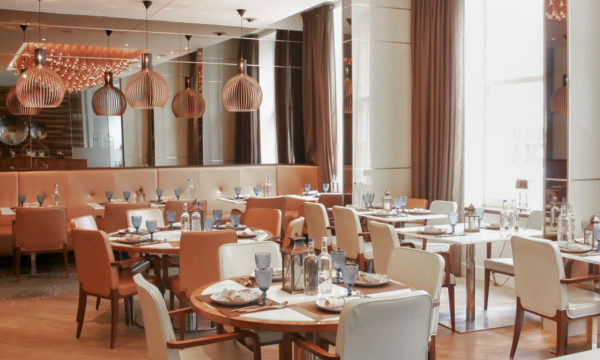 Suria, which is Ramses’ gourmet restaurant and Morales’ main project, is also split into five unique dining spaces: Dior, Christine, Dom Perignon, Haima, and Black. 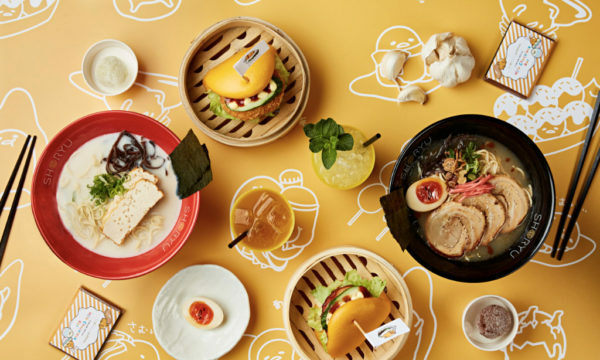 Having worked alongside culinary greats such as Ferran Adrià at El Bulli, and Paco Perez at Miramar, Aurelio, who is aged just 32, is a real upcoming star in the Spanish fine-dining scene. 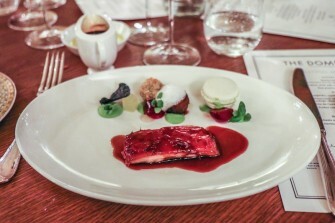 He has become known for his contemporary and sophisticated approach to cooking that highlights the quality yet simplicity of the ingredients. The Domino Room is part of Hotel Café Royal’s Private Member’s Club offering fine dining to Club members and hotel guests. 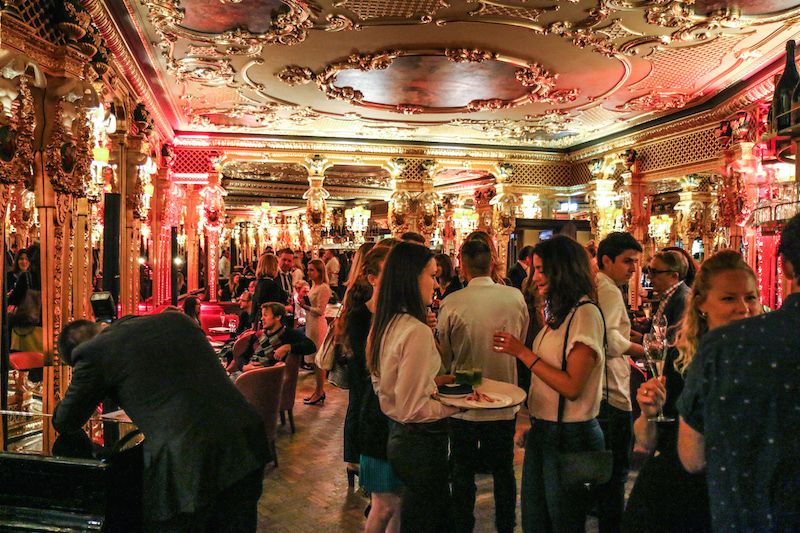 Returned to its original glory, the Domino Room boasts stunning and beautifully restored cartouche and decadent artwork. 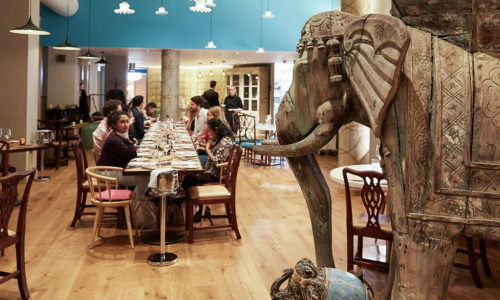 The Domino Effect with chef Aurelio Morales is on from 11th June to 11th July 2015, to book a table contact Café Royal, 68 Regent Street London W1B 4DY, 020 7406 3370 or enquire here.